In the Japanese comedy Tampopo, a ramen-maker goes on an obsessive personal journey to create the perfect bowl of ramen. 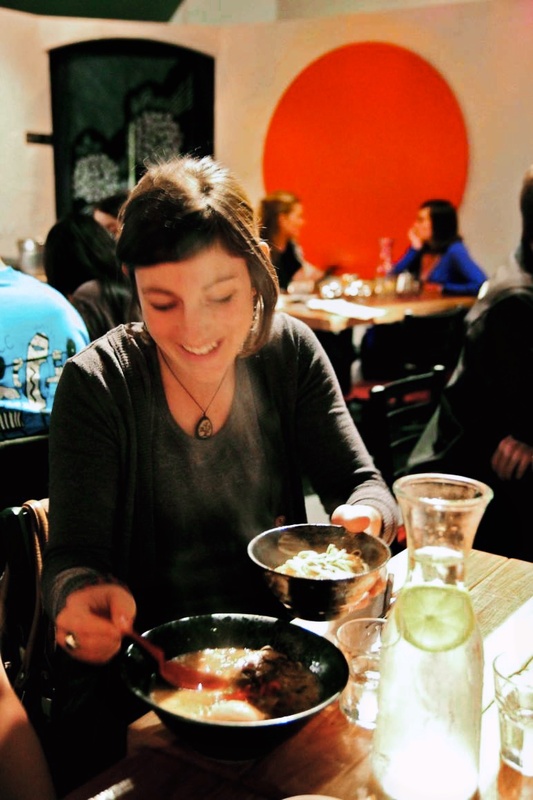 Though the film is satirical, finding the perfect bowl of ramen is a serious quest for many people, myself included. 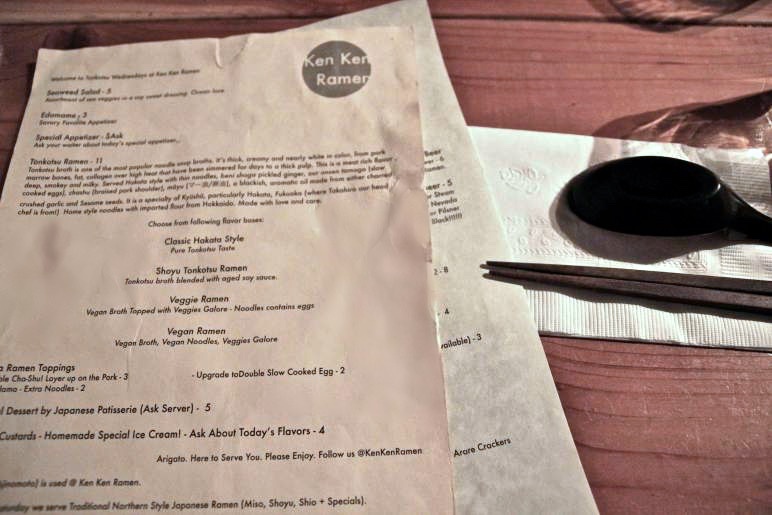 Ken Ken Ramen is located on 16th street in the heart of the Mission district. Playing indie music and filled with 20 and 30-somethings, Ken Ken fits the profile that has permeated the neighborhood. 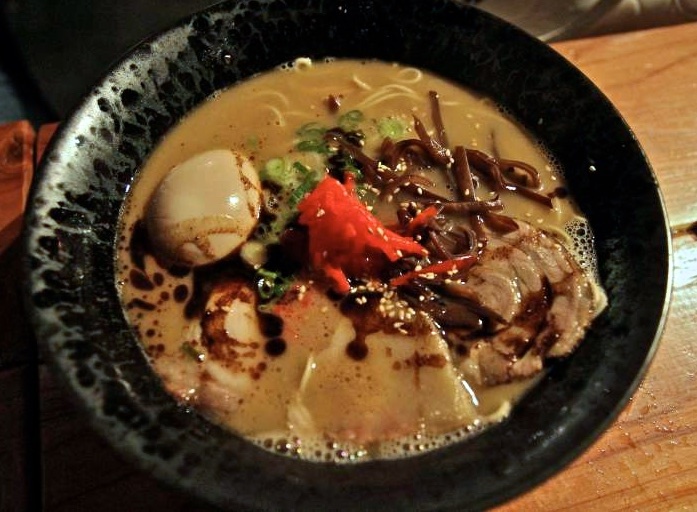 I ordered the veggie ramen bowl as opposed to the more traditional rich and fatty pork-based Tonkotsu broth. The chef prepared an assortment of green veggies and placed generous slices of kabocha squash on the bed of noodles. Unfortunately, the noodles acted as a filler as they did not contribute much flavor to the bowl of ramen. On the contrary, the methodical and appetizing presentation definitely heightened our overall satisfaction with the meal as the billowing steam rose from the bowl and warmed our smiles and bellies.